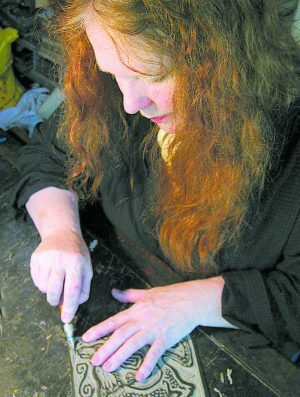 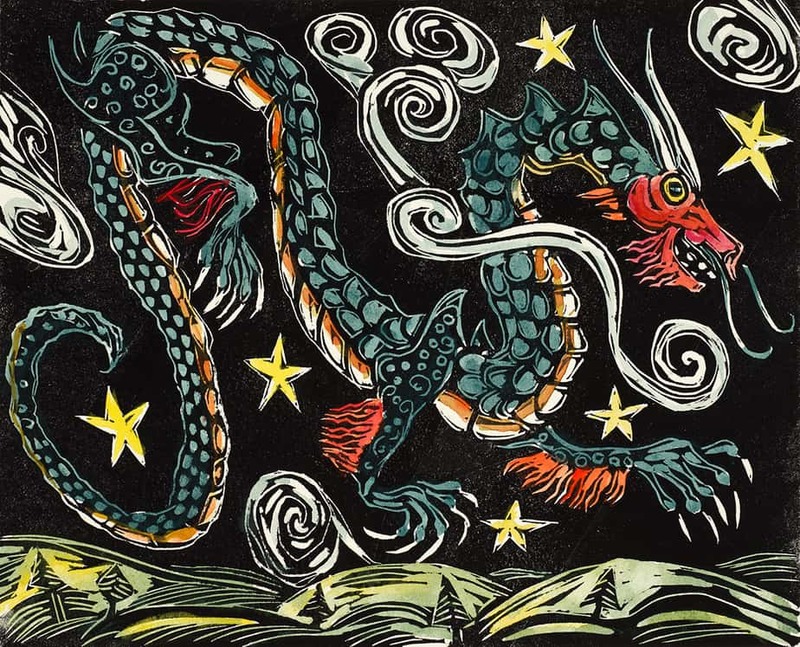 Carol Zaloom, illustrator, makes hand-colored linoleum prints. 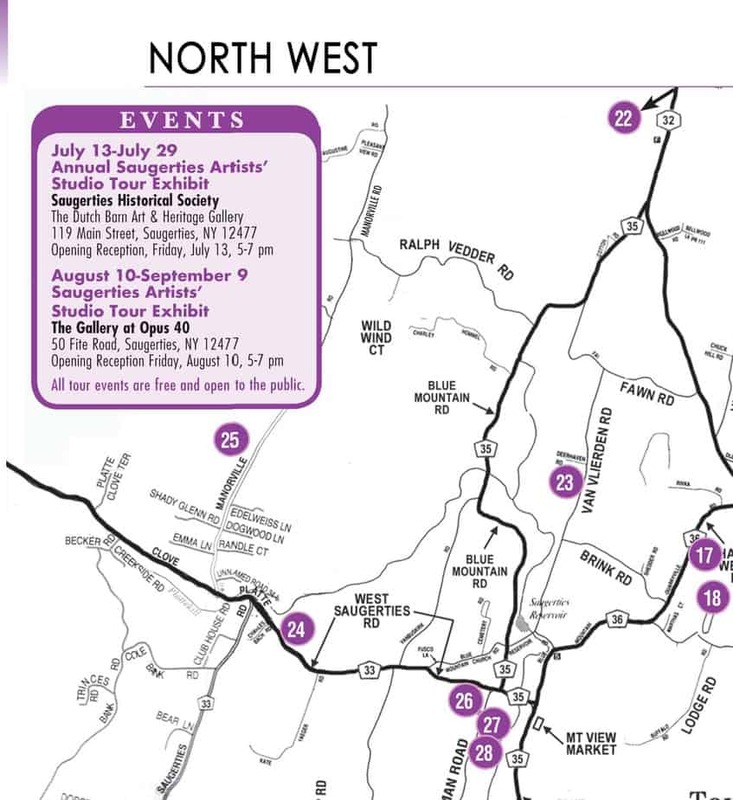 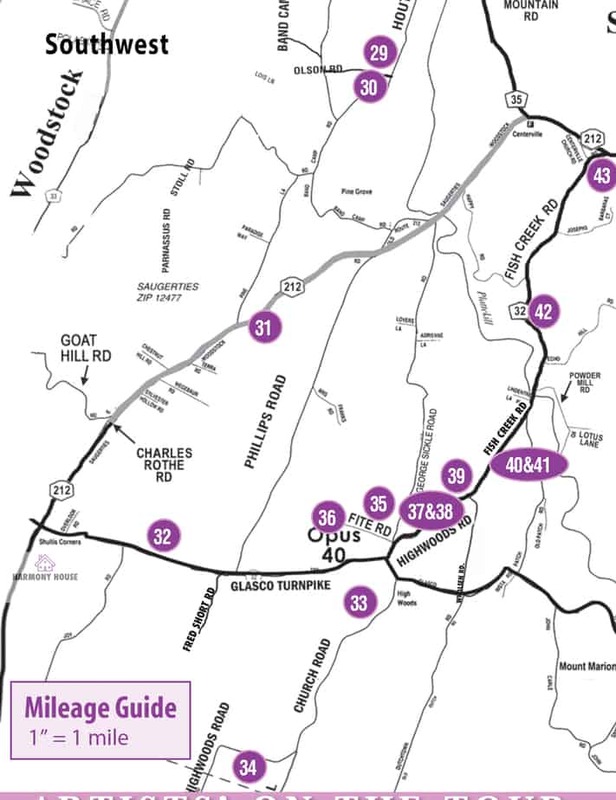 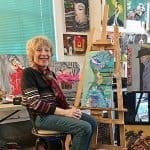 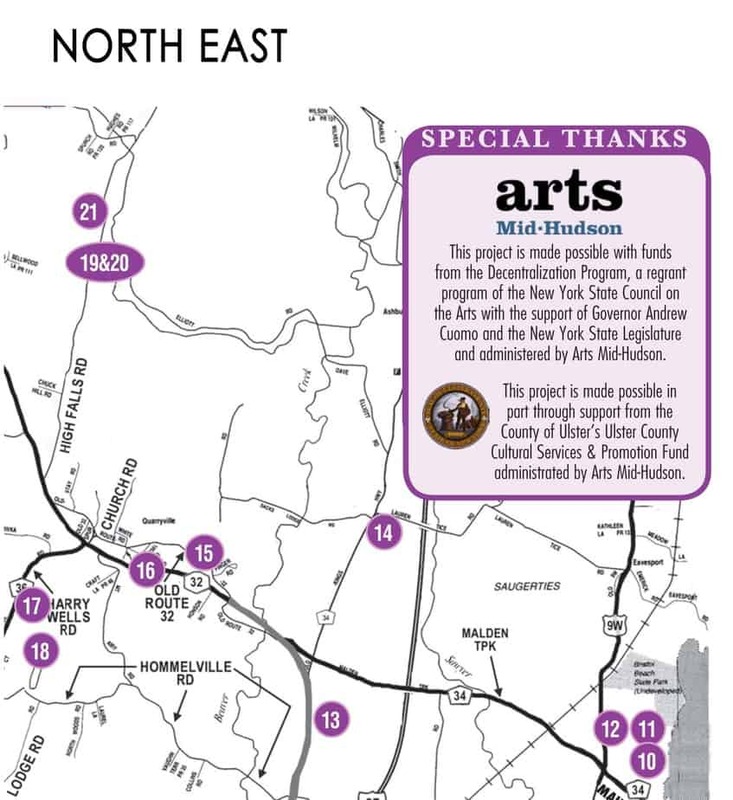 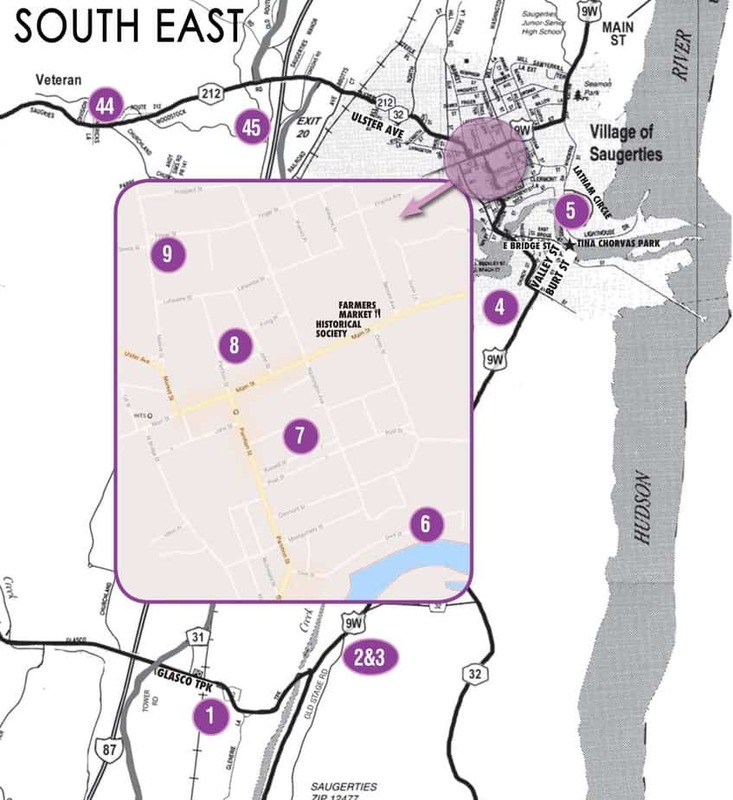 Her client list includes Random House, David Godine, HarperCollins, Tower Records, Hampton-Brown, Yankee magazine, and Sky & Telescope, and many arts organizations throughout the Mid-Hudson Valley. 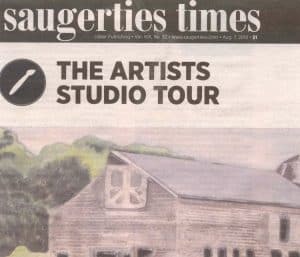 Her studio is situated in a stone-and-timber house built by an Irish quarryman in 1852; in the 1930s, it was home to Saxton Fells Art School, owned by A. 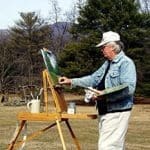 A. Champagnier, a WPA muralist, and in 2008 it received historic landmark status from the town of Saugerties. 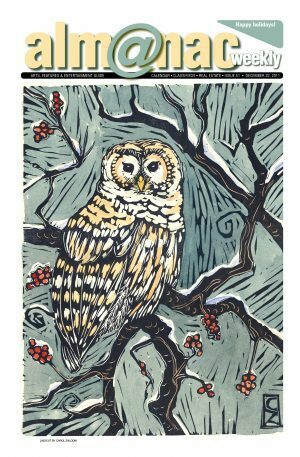 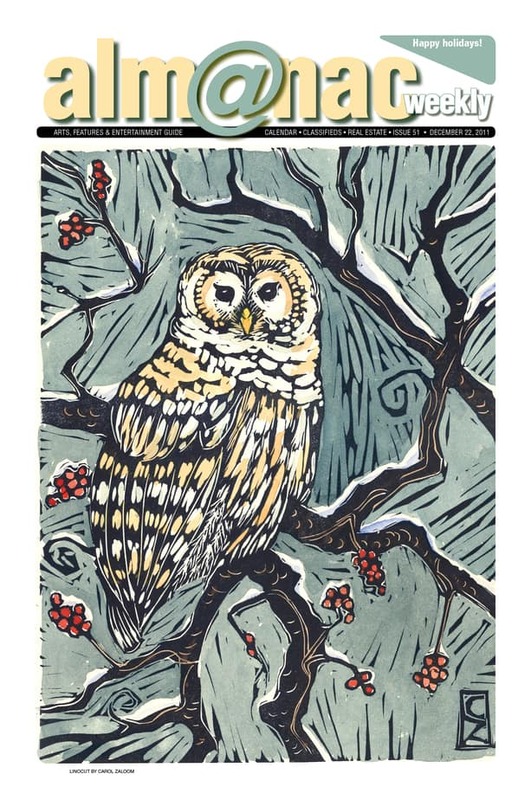 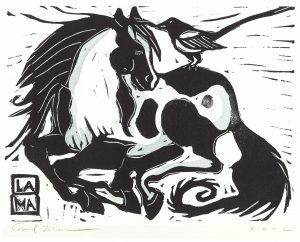 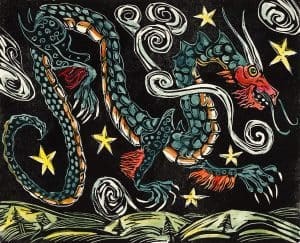 Among Carol's prints available for sale are depictions of mythological creatures, Japanese fairy-tale motifs, portraits of great writers, landscapes, and studies of birds and animals (including work inspired by the Palaeolithic painters of prehistoric Europe). 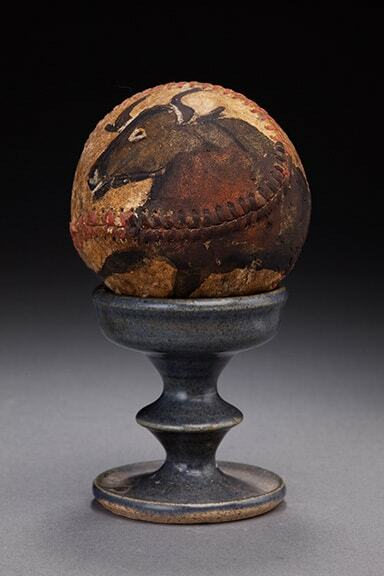 Also on display and for sale are painted baseballs depicting mythical and literary themes; several such illustrated balls have been commissioned by John Thorn, the official historian for Major League Baseball.